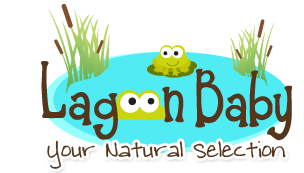 These are my favourite diapers of all of the diapers I have tried (and I have tried a lot!). 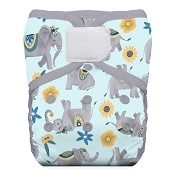 They fit my newborn from day 1 and can also use them on my toddler! I get a perfect fit every time and dad loves them too. The velcro is super strong and durable. Our whole stash is now softbums. So trim, and super cute! We have both snaps and H&L, but prefer the H&L as the velcro is really durable, but not too stiff against babe, and it always makes for a great fit. Defiantly recommend! This is one of my favourite diapers in my stash. 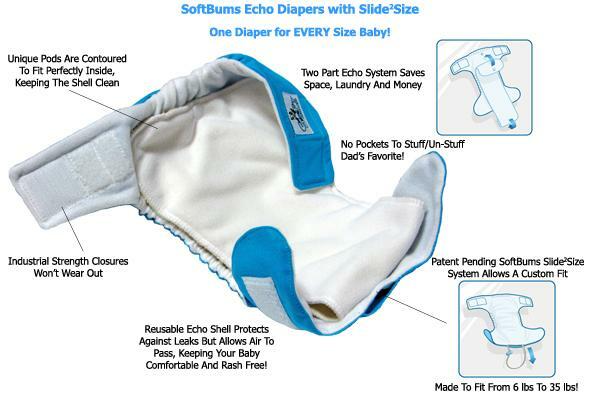 It is so difficult to get a diaper on my wiggly little boy, and the Echo with Velcro makes life a little bit easier on me. I prefer these to the Omni because they are much more trim. Our favorite diapers around here! the sizing is sublime and like nothing else. Plus, they're super trim and easy to use. I won't but any other brand now. This has such a cool system that I thought it would be my favourite diaper. I got this as part of the newborn sampler, enjoying the fact that it would last my baby longer than the others since it’s so adjustable. For some reason this diaper LEAKS. And it’s not just from the legs if you didn’t get a good fit on a squirming baby who doesn’t care about adjusting the legs. The shell itself isn’t very waterproof and the whole cover is wet to the touch. My 6 week old peed through it just today after like 30 min when I put this in him waiting for the rest of my diapers to finish laundering. I can’t believe this is a $30 diaper. The PUL just isn’t sturdy. It feels thinner than the rest of my diaper stash. Maybe I got a lemon though since no one else seems to be complaining about this? It’s also a weird fit. Really narrow and I struggle to get a good tight fit at the thigh with more than the one long softpod insert. I did A LOT of research before buying cloth diapers. 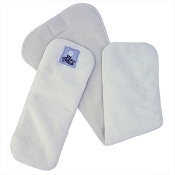 I tried a few other brands but nothing even comes close to the perfect fit of my SoftBums. I can’t stop buying them! I’ve used them for over a year and a half now and absolutely love them. 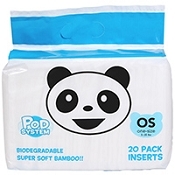 I like the bamboo inserts because they are way more trim and absorbent than the DryTouch microfiber inserts. I also prefer to use the Echo shells with hook and loop for a perfect fit. 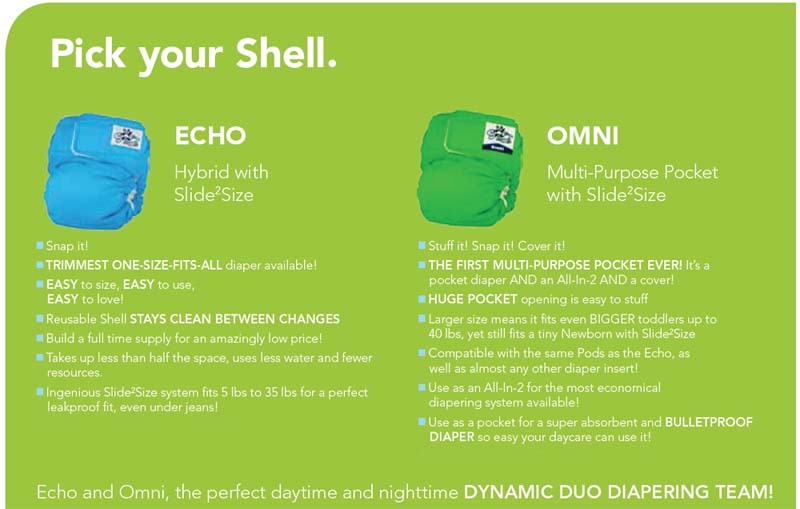 We have a few Omni shells we use only for nap time and bedtime because you can put more inserts in them. 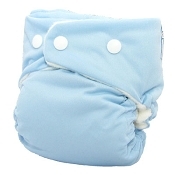 The toggles are so easy to use that this diaper will fit on any size of baby or toddler! 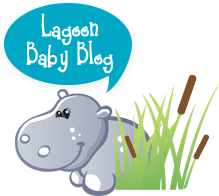 I highly recommend these diapers! The fit can't be beat! 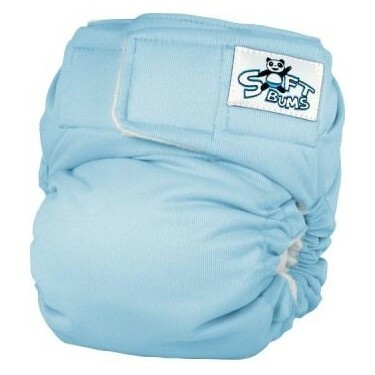 I tried other types of cloth diapers with snaps and definitely prefer the Softbums velcro. They keep holding strong and you get a great fit. 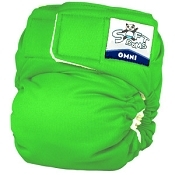 With the elastic sizing on the legs it's a perfect fit from newborn to potty training.